The original RAGE was a weird, uneven, post-apocalyptic shooter that failed to find a critical and commercial audience. Released in 2010, RAGE ended up both a critical and commercial fizzler despite the involvement of id, the studio often credited with inventing the first person shooter genre through games like Wolfenstein and DOOM. It ended up being one of those AAA games that comes and goes without any real impact. So when Bethesda announced it’d be resurrecting the franchise last year, it came as a bit of a surprise. The involvement of Just Cause developer Avalanche Studios? Slightly less surprising. Based out of Sweden, Avalanche released their own post-apocalyptic critical misfire only a few years earlier in the form of 2015’s Mad Max. If anyone was qualified to take on the task of constructing a sequel to RAGE, it's them. 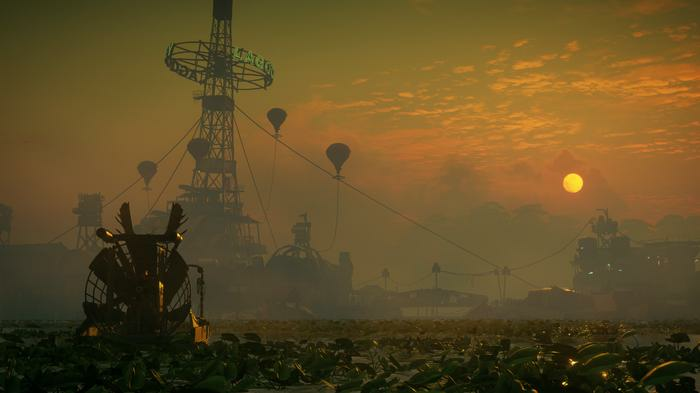 Perhaps-unsurprisingly, our recent hands-on experience with an early build of RAGE 2 left us feeling like the sequel is shaping up to be a sum of its parts if nothing else. After a 90-odd minute session with a pre-release build of the game, it feels like Avalanche aren’t so interested in crafting a game that learns from the errors of its splintered past as much as they are building one that doubles down on the successes attached to that legacy. At this stage, RAGE 2 honestly feels like it's shaping up to be as much a sequel to Mad Max as it is the original RAGE. And there's something charming about that willingness to embrace a flawed past. It'd be easy to imagine this particular sequel making a clean break and distancing itself from the first game in the franchise. Instead, the section of the game I played featured returning faces and nods to the events of the first game in our demo. Even Mutant Bash TV returns, though I'm still not 100% convinced that Avalanche will be able succeed where the original RAGE failed and make this particular conceit as compelling to players as it seems to be to everyone who exists in the fictional world. In the first RAGE, you played as a cryogentically-frozen US Marine named Nicholas Raine. This time around, you play as a new character named Walker - said to be the last of a mysterious group called the Rangers. 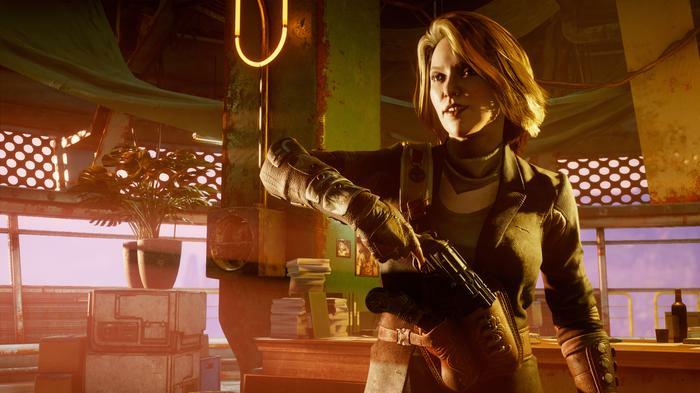 We didn’t get a huge amount of story content in our demo but it’s intriguing to see how Avalanche attempt to follow-up and enrich a story that didn’t inspire a lot of demand for a sequel. With the next true single-player Fallout experience likely a long-way off, RAGE 2 looks set to pick up the torch when it comes to post-apocalyptic adventures. Whether it can add enough, or the right kind, character and personality to stand out and make an impression remains to be seen. Nevertheless, from what we played, the pacing and structure here does echo that original game with a little bit of Mad Max thrown in for good measure. Our brief stint in the wastelands of RAGE 2 consisted of driving to and from various points in the game’s open world map and then clearing them of enemies.If you've played one of Avalanches previous open world games, you'll know what to expect. That said, it does feel like a little bit more effort has gone into the gunplay compared to games like Mad Max and Just Cause. 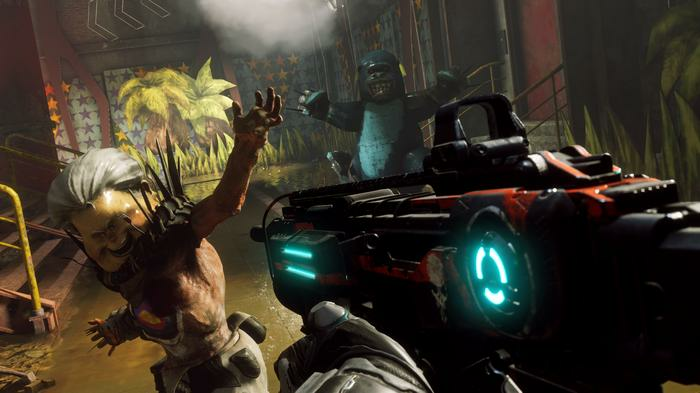 It doesn't feel quite as slick or crunchy as DOOM but RAGE 2 definitely takes a few cues from the former when it comes to how its combat sequences and shootouts flow. The guns in RAGE 2 initially come across as a little generic but I found they became more interesting once I got my mind around the various alternative-fire modes attaches to each. Left click and your shotgun behave like a normal shotgun. Right click and it'll behave more like a sonic scalpel. 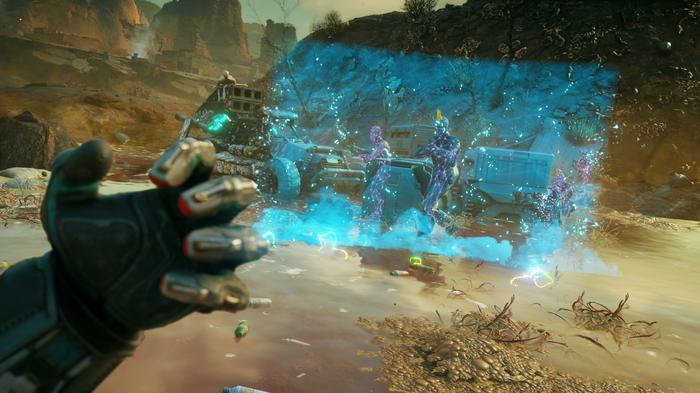 The main hook for combat in RAGE 2 is Walker's Nanorite abilities. These powers let you dash, smash and throw enemies around with superhuman force. They’re a lot of fun to use, even if it sometimes felt like we were chafing on the cooldowns limiting our usage of each one. Hopefully, that's something you're able to reduce through tech upgrades in the full game. The other thing I hope to see out of the final product that I didn't really get much of here is a sense of place. 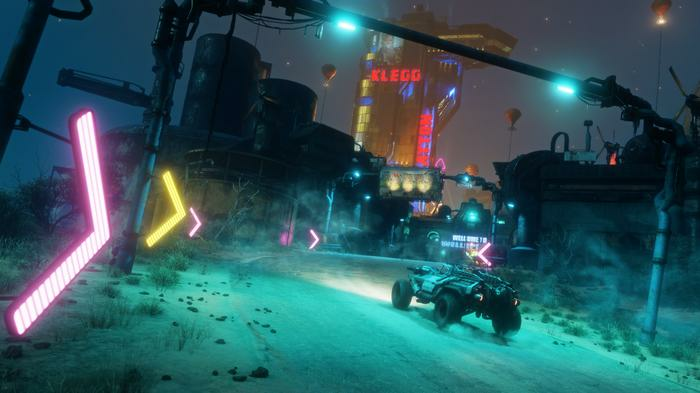 From what we played, there wasn't a whole lot to RAGE 2's wasteland apart from bandit camps and a single, larger settlement. Though the map seems large enough, it felt sparsely populated and empty at times. It also felt unnervingly quiet at times, which is surprising given Avalanches involvement. Mad Max did a lot of interesting systems-based things that made its desolate wasteland feel like a place where things were constantly happening. My time with RAGE 2 didn’t see me encounter any such dynamism. Story missions and side-activities aside, the world in RAGE 2 feels static. Sure, it's a post-apocalyptic wasteland but it should still feel like a place where people live and one where things of consequence happen. My time with RAGE 2 left me intrigued to see whether Avalanche’s hybrid of Mad Max and the original RAGE can be more than just the sum of its parts. However, the absence of any sign that the Swedish developer have really thought about why both post-apocalyptic adventures failed to excite critics has me a little worried. What killed the first RAGE? Was it indifference to the game’s cookie-cutter plotline? Was it the abrupt pacing and lack of a third act? Was it the loose open-world structure? Was it dull combat? Clunky driving sequences? The thing I wanted most from my brief dalliance with RAGE 2 was a sense that Avalanche and Bethesda understood where the the first game went wrong - and I never really got that here. 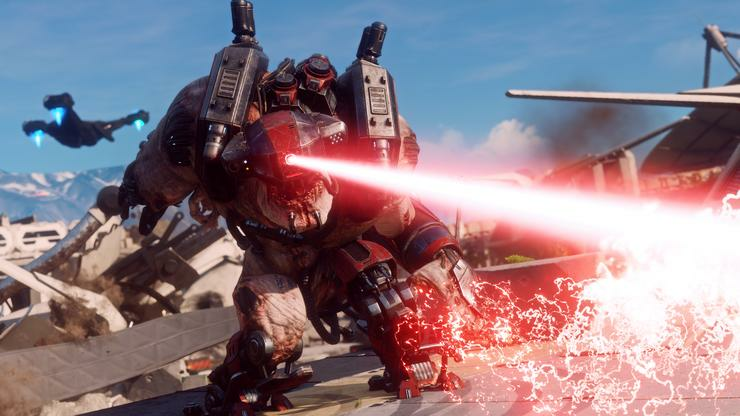 From what I played, RAGE 2 seems like a game that's keen to build on its convoluted past but not one that truly seems equipped to reckon with it. And if you don’t learn from the past, you’re doomed to repeat it. RAGE 2 releases on May 14th 2019 on Xbox One, PC and PS4.